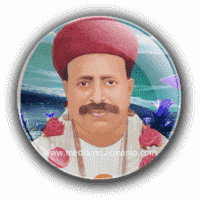 Bhagat Kanwar Ram Sindhi Old Classical Music Singer. He was born on 13th April 1885 at Village Jarwar District Sukkur Sindh. He was most popular Sindhi Classical Music Artist. He was legendary Singer of Sindh, he create great name in Sindhi Old Music. He was a humble, generous and compassionate man. He wore a long Kurta and a red head gear. He sang and danced at Bhagats. Bhagat Kanwar Ram sung with devotional, singing and dance in Sindhi Folk Music. Bhagat Kanwar Ram was used to sing creations of famous saints & poets Mira, Kabir and "Hazrat Shah Latif Bhitai R.A". It happened that during singing time, when Bhagat Kanwar Ram sung the "Raga Sarang" the clear sky started to fill with rain clouds and a heavy rain followed. I have selected below most popular Sindhi Super Hit Lok Classical Music of Bhagat Kanwar Ram. He was created great name in Old Sindhi Music. He was a Sindhi Classical Music Singer and also Sufi Poet. Peoples used to offer lot of money and jewels to Bhagat Kanwar Ram Sahib while he sang but Bhagat Kanwar Ram never kept even a Paisa for himself or for his family out of that money, he would instead distribute between poor and needy people because he believed that his touching voice was a gift of God. Bhagat Kanwar Ram was assassinated in communal riots in Sukkur on 1st November 1939 at Rukari (also known as Ruk) Railway Station.